During its first decade of operation, Belmont Farm Distillery in Culpeper had to fight the stigma associated with moonshine, unaged corn whiskey. “They thought it could make you go blind, it’s not good for you, all that kind of stuff,” says Chuck Miller, co-owner of Belmont, which opened in 1988. 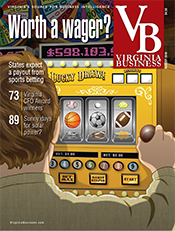 In Virginia the production of spirits, including moonshine, is growing dramatically. According to the Virginia Department of Alcoholic Beverage Control (ABC), the commonwealth now has 57 licensed distilleries, up from just a dozen five years ago. 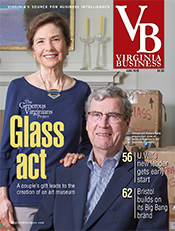 Virginia distillery owners, however, say they face a number of hurdles — some of them regulatory — that impede their growth. More than 20 distilleries have joined the Virginia Distillers Association (VDA), an organization formed last year to advocate for and promote the state’s spirits industry. 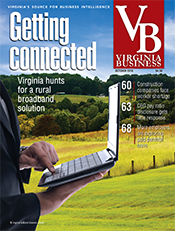 One of the association’s chief responsibilities is working with Virginia ABC. The Old Dominion is one of only 17 “control” states in the U.S., in which a government agency manages the sale and distribution of alcoholic beverages. Virginia ABC stores are the only retail outlets that can sell liquor in the commonwealth. 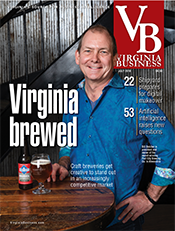 “Having good relationships and figuring out how to navigate the system and really make Virginia local products a big focus of the Virginia ABC is really important,” says Gareth Moore, president of the VDA and the CEO of the Lovingston-based Virginia Distillery Co., a whiskey producer. 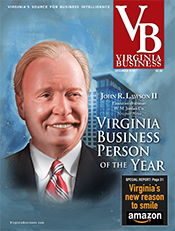 VDA’s goal is for Virginia’s distillery industry to become as big as the Old Dominion’s wine industry, Moore says. According to the Virginia Wine Board, the commonwealth’s 264 wineries currently rank fifth nationally among states with most wineries. When compared with other states, the number of Virginia distilleries ranks fifth on the East Coast and 14th in the nation. 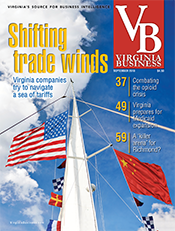 The VDA isn’t advocating privatizing the sales of Virginia spirits, but distilleries want more parity with the wine and beer industries, says Curtis Coleburn, government relations director for the VDA and the former chief operating officer at the Virginia ABC. Gaining equal footing would require changes at the state level, Coleburn says. 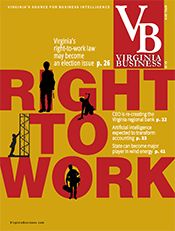 VDA worked on legislation passed during the 2017 Virginia General Assembly session, which now allows distilleries to sell bottles at festivals and events. The association plans to tackle more issues during the upcoming session. VDA says distilleries have to pay more than wineries and breweries to pour drinks in their tasting rooms. Distillery tasting rooms function as ABC stores. A distiller has to sell its bottles to ABC, then buy them back at full retail price before pouring samples. Wineries and breweries, on the other hand, don’t have to go through a distributor when selling their products on-site. VDA would like to remove the markup for samples sold in distillery tasting rooms. Virginia pays an 8 percent commission to distilleries based on sales for operating ABC stores on-site. The commission used to range from 7 to 15 percent based on distilleries’ store sales — the lower the sales, the higher the commission. The commission was eliminated in 2016 for three months because of budget cuts and later reinstated at a flat rate of 8 percent. “That really hurts us because everybody went out and hired … employees and has a certain amount of overhead to run our operations,” says Scott Harris, co-founder and general manager of Catoctin Creek Distilling Co. in Purcellville, which makes whiskey, gin and brandy. VDA seeks a commission of at least 25 percent of a distillery store’s retail sales, a change that would need approval from the General Assembly. The association also wants to change a law prohibiting distilleries from making mixers in their tasting rooms with alcohol they don’t produce. “If I make a gin, and I want to [make] a martini, I can’t do that because I didn’t produce the vermouth that goes in it,” Coleburn says. 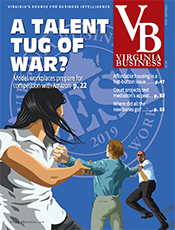 The association also would like Virginia ABC to increase the number of event licenses allowed for each distillery from four to eight per year — similar to the number allowed at wineries and breweries — while also permitting distilleries to serve samples at events. Distilleries also seek to change their Sunday business hours, opening at 10 a.m. instead of noon to compete with breweries and wineries. In addition, many distilleries want to serve more alcohol in their tasting rooms, but that’s not an issue VDA plans to address next year. Currently, spirits producers can serve only three ounces of alcohol to each customer. The permitted amount increased from two to three ounces last year, thanks to a change in state law, but the limit is still difficult to explain to customers who aren’t used to such a rule. While Virginia distillers face challenges because of state control, the arrangement also has its advantages. “From a sales and marketing standpoint, it’s a heck of a lot easier to go in the non-controlled states, it’s just like selling any other product,” says Gary McDowell, partner and manager at Richmond-based Cirrus vodka. Space is limited in ABC’s warehouse and on its store shelves. 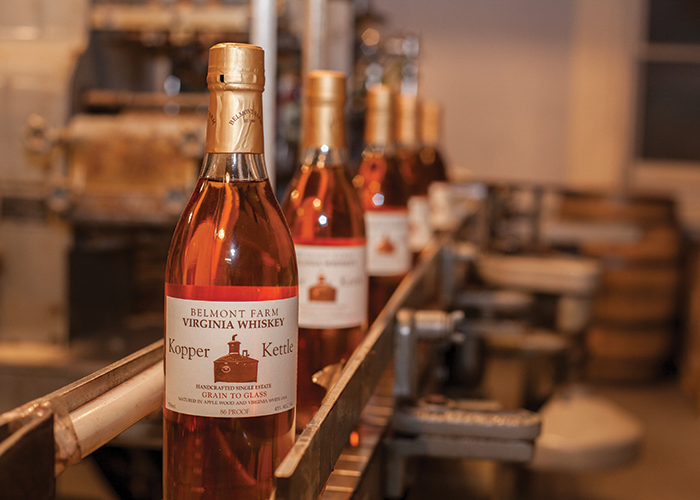 Virginia distilleries face a lower sales threshold to gain spots on ABC shelves. The threshold varies per product, but typically is about half of the sales required for national spirits producers. Distilleries also must meet certain criteria to earn space on store shelves, including customers’ special order requests and sales in other states and tasting rooms. Producers also must have brands that customers recognize. 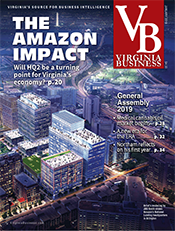 According to ABC, only about 25 percent of Virginia products meet the requirements to secure spots on store shelves, but they all can be ordered online and delivered to ABC stores. For small distilleries, however, the ability to display all their products in tasting-room stores can make a big difference in sales. This has been an issue for Dry Fork Fruit Distillery, which is hoping to move its distillery to Danville’s River District by the end of the year. Currently located in an area of Patrick County that doesn’t allow liquor by the drink, the distillery says the move would allow it to have a tasting room. Dry Fork makes five types of moonshine, but only two are displayed on ABC stores’ shelves. The rest have to be special ordered. In addition to offering distilleries with distribution advantages, ABC provides enhanced marketing for Virginia products, including specially marked bins, at its stores. 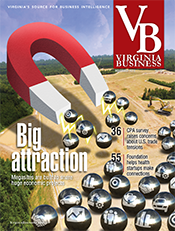 “Virginia products are also on an automatic approval list for featured promotions and preferred display locations at all times,” says Carol Mawyer, public relations manager for Virginia ABC. For the second year in a row, the state has partnered with VDA on Virginia Spirits Month in September. The promotion resulted in a 70.2 percent increase in sales at distilleries from September 2016 to September 2017. In-store sales were up 53.5 percent during that time period. 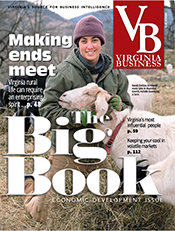 “I think that is a testament to what we’re able to do with this organization … doing a lot with a little bit of resources but a lot of expertise and a team mindset amongst our members,” says Amy Ciarametaro, VDA’s executive director, who is a former marketing manager for the Virginia Wine Board. VDA also knows Rome wasn’t built in a day. Changing government regulation is similar to aging whiskey, says Moore, the association’s president. “Patience is one of the key ingredients,” he says. “That’s not always easy when we’re looking week by week at our bottom lines,” but simple regulatory changes would have a big impact on Virginia’s distilleries. Time will tell whether those changes will come.